Choose a VR or AR developers laptop on a three-year lease. Leasing from HardSoft includes as standard our; ‘No Quibble’ Warranty. This makes sure you lease more than just the hardware, you also lease peace of mind. Leasing makes the latest VR and AR development computers, whether PC or Mac, affordable. 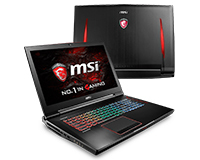 Choose Apple Mac, ASUS, MSI, HP or PNY VR laptops. Leasing your VR (Virtual Reality) and AR (Augmented Reality) development computers from HardSoft makes sense for your business. The latest, most cutting-edge equipment is still very costly and would leave a big dent it your cash flow. When you lease from us you get the benefit of our 30 years experience in the IT and finance industries, as well as our expertise on the best equipment for your business. At HardSoft we have both VR development computers and laptops suitable for both AR development and working with VR. This is due to their high specification and compatibility for working with VR devices such as Hive and Oculus. Our VR workstations are customisable to your requirements and we can assist with software configuration including Unit and Unreal Engine graphics engines to ensure our products are ready to start working as soon as they arrive. The HardSoft Flexi- Lease allows you take full ownership of the VR computers at the end of the lease for just £1. Packages can be designed to suit your budget and we also have ample experience in dealing with new businesses and schools. We also assist you to get the best finance deal for you and also choose a repayment scheme to suit your company. Choosing to pay monthly or quarterly and deferring your first payment will help to free up your funds for other vital business decisions. What CPU do I need for effective VR playback? 2) The number of cores is how many physical cores there are within a CPU (how many operations it can run simultaneously). Virtual reality experiences are a lot like games and most VR software has many similarities to modern computer gaming that tend to use four cores or less. Frequency (clock speed) tends to be more important than having more than four cores since that affects how many calculations each core can actually handle. So dedicated virtual reality systems are best configured with a quad-core at the highest available clock speed. For VR Development does the CPU spec need to be different to VR playback? Computers for developing virtual reality content benefit from additional CPU cores. It depends a bit on what software packages are being used but many 3D manipulation and rendering programs scale up with multiple cores. Many VR developers will also run multiple programs at the same time, and may need to have debugging tools or other software running simultaneously as they are testing out their VR software. If going to a higher core count processor you do not want to sacrifice too much clock speed. Keeping at least a 3.0GHz base frequency is ideal, since when testing out a VR experience you want to make sure you have plenty of speed for the few cores that will actually be utilised. Your VR Windows PC’s are built around seventh Generation i7 processors. What about the new Core X Series processors from Intel? These should be available in the next few months. If you have a particular CPU in mind then please let us know and we can bespoke the spec and get a lease cost across on your VR development computer. What Graphics card do I need for effective VR? Having a powerful video card is critical for virtual reality performance as it directly affects the ability of the computer to keep up with the high resolution and frame rate, which a good VR experience needs. The very first versions of the HTC Vive and Oculus Rift both had dual displays at 1080 x 1200 resolution. New versions are now 1920 resolution. This is termed Full HD (FHD) these run at 90Hz, which is 50% higher than the standard refresh rate of monitors, Bear in mind that if you are intending to develop for the commercially released Oculus Rift (CV1), this has a 2160 x 1200 resolution at 90 Hz. This is the spot on resolution of the GeForce GTX 1070 Ti graphics card.This card is most popular on our VR computers to lease. What about RAM/Memory needs for VR Development? Memory requirements for virtual reality experiences/ playback vary dramatically but fall in a minimum of the 8GB region. Newer programs and games are starting to push further, though, and many users may want to run other software in the background as well. Due to this, we recommend 16GB for most systems, to have plenty of space for applications and a measure of future proofing. For VR developers, we recommend 32GB or more depending on the software used. Is Solid State or normal Hard Drives best for VR? With the falling costs of solid-state drives, we strongly recommend using a SSD for the primary drive of at least 256GB. This will host your operating system and VR experiences. The high speed of SSDs allows your system to boot up, launch programs, and load media many times faster than a traditional SATA hdd. I am not sure what Graphics Card I need for my mix of software? The graphics manufacturer PNY who makes Quadro and Geforce has a great tool at http://pny.quadro-selector.com/en that helps you decide what you need. Have a go and let us know what GPU you need and then we can match it to the PC to suit and get a price across to lease your VR PC. How can I check if an existing Windows PC is Occulus Rift-ready? There is a compatibility tool on the Occulus.com website or email mailto:info@hardsoft.co.uk and we will send you the file to install. It can be difficult to hunt on the Occulus website. Can you configure a Windows PC with a higher spec? Yes, we recommend a bespoke UK manufacturer called Strongbox Technology based at Pinewood Studios. Each Strongbox PC is tailored to client’s software requirements and set-up, enhancing user-experience and reliability whilst dramatically reducing their processing time. Let us know what software you are running and Strongbox will bespoke the spec to suit. We have been leasing Strongbox Workstations for several years and are highly recommended. Virtual Reality and Augmented Reality should not be confused. AR involves displaying an image of the real world such as on a Smartphone showing the view through the smartphone camera lens, and then laying over an artificial image or text. Microsoft has concentrated on AR with their HoloLens product. Apple is very much behind AR with the enhancements to iOS 11. What do I need to develop AR for the Mac? 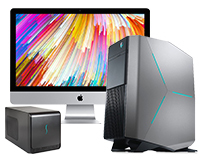 The Apple External Graphics Development Kit includes everything you need to start optimizing advanced VR and 3D apps on external graphics processors with new macOS High Sierra. This official kit features the Sonnet external GPU chassis bundled with a Radeon RX580 graphics card. 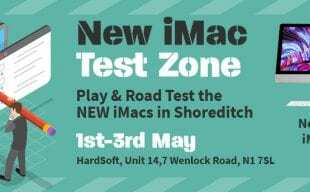 You may feel more comfortable with the GTX1070ti that is more standard across the market and HardSoft can lease this Sonnet bundle… Apple Macs ALL feature AMD GPU is hence the Radeon in this Developers Kit. 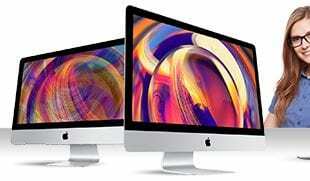 Can you configure a Mac with a higher spec than is available from the Apple Store? We cannot do anything on the MacBook Pro but our engineering team can take an iMac and change the Storage. Apple only offers up to 2TB Flash and Fusion Drives. HardSoft can change the storage to your choice of SSD or SATA adds whether you need more storage capacity than Apple can offer or just need it faster. What software tools do I start with for VR development? To develop VR software Game engines you need to be using and signed up to Unity (https://unity3d.com/ ) and Unreal Engine (https://www.unrealengine.com/en-US/what-is-unreal-engine-4) then you need a subscription to Microsoft Visual Studio Professional. There is a free version of Visual Studio but lacks many features. You just need the imagination on top though. Does HardSoft lease VR Headsets? No, unfortunately, we do not currently but we do offer on lease the Microsoft HoloLens. Are the VR computers you lease all new? Yes and always the latest models. Are there any extra costs on leasing VR computers? No, though there is an Admin Fee shown on the paperwork which is normally £50 and collected with the first direct debit. Normally 2-3 days though ask us and we can do it quicker. We can deliver on a Saturday or Sunday to suit. What if my Company has a CCJ? We may need to ask for a Directors Indemnity to give us some comfort and may ask for a copy of a recent bank statement to prove affordability. I am a student, can I lease? No we only VR computers for business users , Limited Companies, Schools and the self-employed. How long is the Lease and do I ever own the computer? It’s three years and you own the computer for a nominal figure of £1. Is there a ‘cooling off period’? Not unless you are a Sole Trader where the Consumer Credit Act applies.